CEP 812 – Passion Quotient and Curiosity Quotient Surpass I.Q. CEP 812 – How do we solve a WPP such as Reimagine Online Learning? 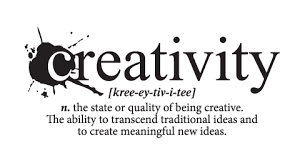 To include or not include creativity in assessments….. that tis the question! As an educator whose job is to assess student learning, I am constantly changing my methods of assessing students based on what kind of tasks students are being asked to do and what standards are required each year, but rarely have I given a lot of thought into the component of creativity. Assessment is one of the most important tasks an educator has to do, and do effectively. Assessment comes in all shapes and forms and can be simple or very complex depending on what task or standard is actually being assessed. It is not always easy to assess everything student do, especially when it comes to the 21st century Maker Education. It’s a new learning curve for a majority of educators including myself. In a blogpost by Grant Wiggins (2012) Wiggins talked about how educators today should definitely include creativity into their rubrics for assessment. Even though many critics to this may state that including creativity can “inhibit students” the real deal/question we have to ask ourselves as educators just as Wiggins words it is, “Should we deceive the learner into thinking that their writing is better than it is?” And again, writing is just an example given by the author. We can relate this to any form of assessment given to students. Do we really want them thinking that their writing, oral presentation, performance, group task etc. is great if and when it really isn’t? Yes, giving false feedback may help in the short term, creating a sense of accomplishment for students but in the long run it only hurts them because they will have a misconception that they have been achieving when they have not. So how would I create my own “perfect” rubric for assessment in all the crazy mess of this assessment jargon? Well, I really like the idea of having students brainstorm what they think an overall assessment looks like. For example if students are creating mini-skits in Spanish on a given unit I would like to hear what students come up with as groups on how they should be graded and then talk about the important things they may have missed, and I could do this by prompting questions such as, “have you thought about _________?” and “should this be included, and why?” Students generally come up with the same rubric as a teacher would give and this also gives students a sense of ownership to having a part in rubric creation. Other questions such as “should creativity/ engagement of the audience be included?” can also help to present these ideas to students, having them know the importance of creativity and engagement in tasks they are required to do. I really liked the example shared about a class in Maine on how class presentations were unbelievably good and the question was ” How did you do it?” The response of their were only two criteria and two grades was AWESOME! Students performed well because they were only concerned about the two important factors that mattered 1) was the information given factually accurate and 2) was everyone fully engaged. When students only have to be concerned with the overall performance, success is more attainable! In addition to student inclusion in rubric making, educators have to realize that its the overall performance of a task that matters and constantly asking themselves, “What impact has this had on my students?” Just as Wiggins (2012) mentions, “ IMPACT MATTERS. Focusing on impact is actually key to student autonomy. The more we focus on impact – did you achieve the goal of such a performance? – Instead of such abstract things as “focus” and “organization”, the more students can practice, get feedback and self-assess and self-adjust on their own.” Students need to be assessed on what really matters and that is the overall outcome. Many rubrics we are using today as educators worry about small things such as eye contact, standing up straight, having a loud voice etc. but lead to very boring and non-attention grabbing writings and performance tasks. Students get so worried about what they have to include that the overall goal gets blinded by the student. So how do we get away from this? Well, first an foremost, I could not agree with Wiggins (2012) any more than when he says that educators must be “crystal-clear on the purpose of the task.” If students have no idea what they are being asked to do, of course they will not be successful. I would approach this with an example given/shown so that students know what they expectations looks like as a final product. This could be showing a video clip, an audio file, a completed poster or infographic etc. When students have something they can grasp to work from, expectations will be met, and creativity will turn into the focus rather than worrying about what must be included. When reading the article on Green Street Academy I was surprised at how a school was so on board with transforming their school into a project based learning environment. Many educators, including myself include project-based lessons into their curriculum but it is rare to see an entire school jumping in. I would be really interested to see this in action after they have implemented this a few years. Just as mentioned in the article, the transformation process has both its positive and negative effects and all the kinks cannot be worked out in a single year of implementation. I would love to see students, enthusiastically engaged in standards-based learning, working together in groups and problem solving and critical thinking. The hard part is the implementation process of course but I do believe that it can be attainable!!!!! !